Nearly 800 monographs covering more than 900 generic names and more than 2,500 trade names are inclu.. 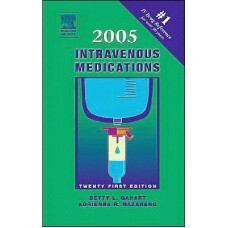 Published annually to provide the most current IV drug information possible, the 2005 edition of Int.. Designed to provide quick access to standards of care for infectious disease by focusing on selectio.. This book features : complete monographs on newly approved drugs; alphabetical order to get you to t.. 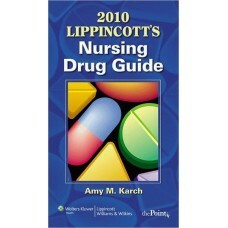 Updated with dozens of newly approved drugs and indications, 2008 Lippincott''s Nursing Drug Guide p.. The number 1 IV drug handbook for 36 years, this reference is trusted for its accuracy and comprehen..
A comprehensive, annual guide for practicing nurses and nursing students, 2009 Lippincott's Nursing ..
A comprehensive, annual guide for practicing nurses and nursing students, "2009 Lippincott''s Nursin..
A comprehensive, annual guide for practicing nurses and nursing students, "2009 Lippincott's Nursing..
Jones and Bartlett Publisher's 2009 Nurse's Drug Handbook is the most practical, most up-to-date, an.. The number 1 IV drug handbook for more than 35 years, you can trust this essential reference for its..
With over 1,200 updates on new drugs, indications, dosages, and administration, It contains complete..
With over 1,200 updates on new drugs, indications, dosages, and administration, "2010 Lippincott's N..